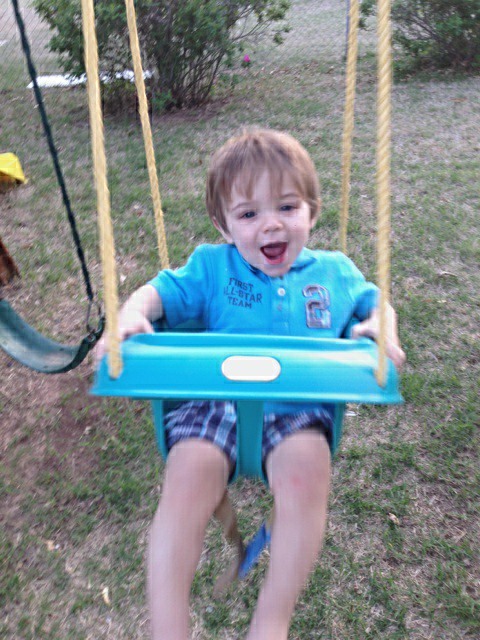 Kids love the excitement, the social activity, and the way their bodies feel after a game of organized sports. 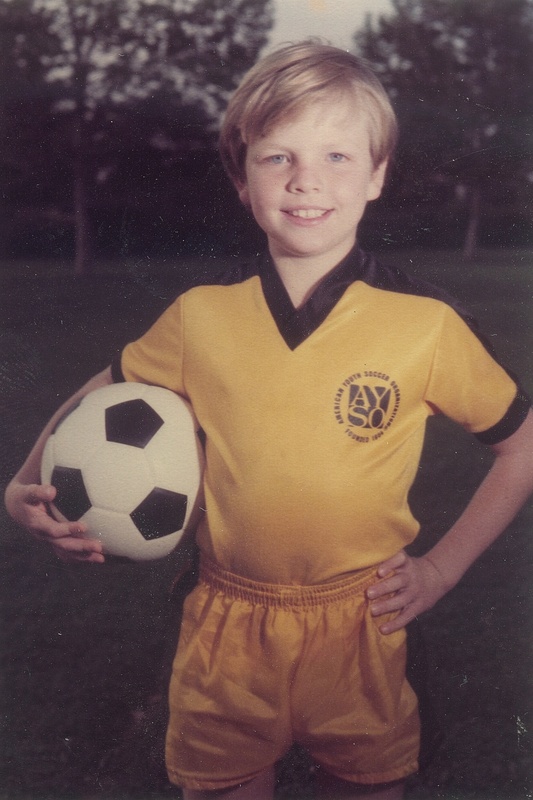 My three sons were in sports year round: soccer, basketball, baseball, swimming, and water polo! A UCLA study has found that students who have an hour a day of moderate exercise had higher test scores than those who didn’t exercise. Being a team mom and scorekeeper meant bringing snacks and water to the practices and games among other duties. There are certain foods that help prepare kids for the exercise. The night before a game serve pasta with marinara sauce and Parmesan cheese, a green salad, and milk. For breakfast, kids can enjoy eating oatmeal with banana and cinnamon, whole wheat toast, and milk. An hour before the game give them lots of water and a snack like a banana, granola bar, yogurt, or graham crackers with peanut butter. During the game encourage the kids to keep hydrated drinking lots of pure water. After the game, refuel their energy and add antioxidant protection with orange slices, cranberry juice, some almonds and lots more water. To cut down on plastic bottles in the land fill, bring a large stainless steel thermos of filtered water and paper cups. The entire team benefits as you set a standard for healthy sports team snacks. What kids learn to eat when they are young, they carry with them throughout their life. Kids love cheese sauce made with 2 tablespoons flour, 2 tablespoons butter put in a sauce pan to make a roux. Add 1 cup milk and stir constantly with a whisk until smooth, add 1 cup of shredded cheese, stirring until melted and pour over veggies, like broccoli, cauliflower, carrot, bell pepper, and red onion. This makes a great sauce for the kid favorite Mac and Cheese mixed with a rainbow of veggies. The roux can also be used to make a stroganoff sauce. Sauté ½ pound of portabella mushrooms and ½ red onion in 3 tablespoons butter, add 3 tablespoon flour, when browned stir in 1 cup sour cream and ¼ cup finely chopped fresh parsley to pour over 8 ounces of noodles and steamed broccoli. For an Asian stir-fry, try a peanut sauce.Using a wok or skillet, sauté 1 cup of onion with a ¼ cup vegetable oil for about 5 minutes, add 2 cloves of minced garlic, 2 tablespoons of minced ginger, and ½ a jalapeno pepper, with the seeds and membrane washed out and minced, cooking a 5 minutes more. Stir in 1 cup peanut butter, 1 ¼ cups water, ¼ cup soy sauce, 3 tablespoons honey, and top with fresh chopped basil. Pour over noodles and steamed veggies. 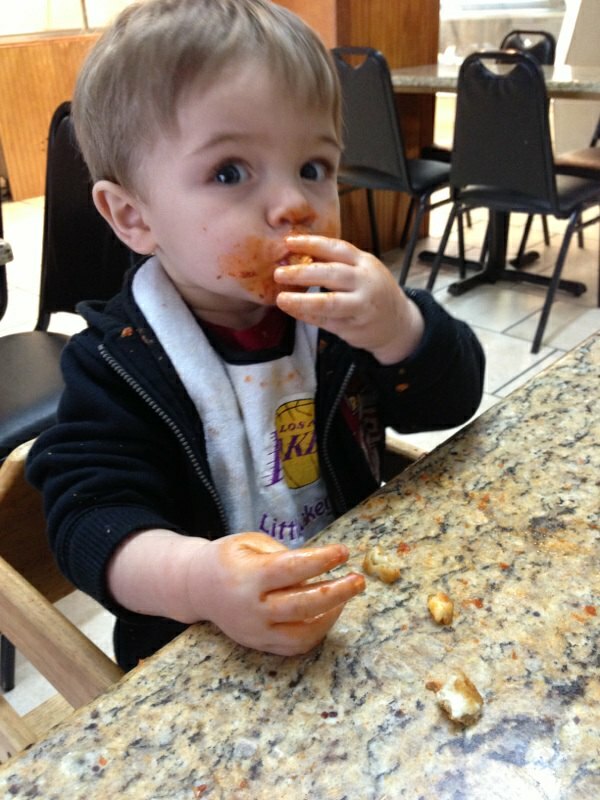 Healthy Kid Chefs love to eat their veggies with a yummy sauce. Fruits and vegetables are the most delicious when fresh, local, organic, and in season. Each culture around the world has delicious easy sauces kids can make for veggies. A secret for kids to eat their veggies is to engage the kids in their preparation. Kids can learn to make the most popular dips for raw fruit and veggies, such as salsa, hummus, and guacamole. 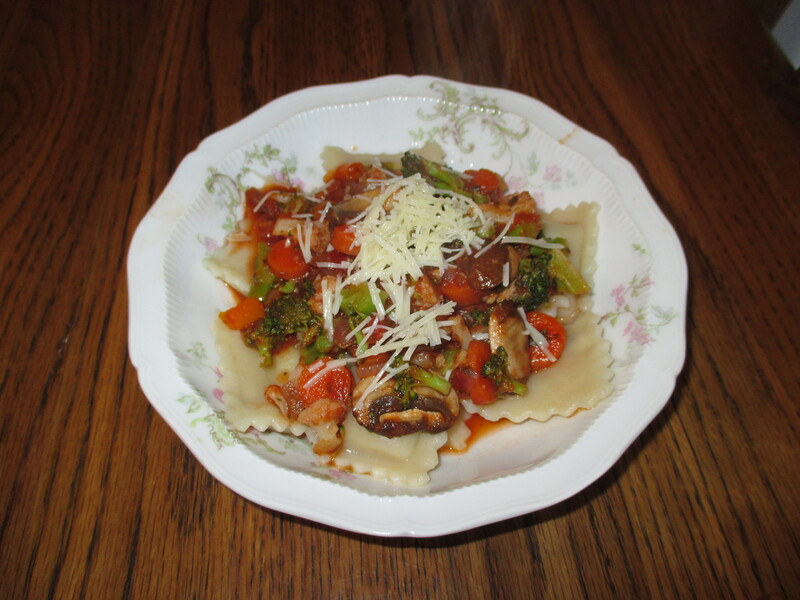 Kids can choose a rainbow of steamed veggies and add them to their favorite pasta with tomato sauce like this ravioli dish shown. With practice, kids can learn to make a roux and a cheese sauce for Mac and Cheese, or add mushrooms to make a Stroganoff. When kids choose, wash, and steam their own veggies, they love to eat their own preparation. With these yummy sauces kids will not only eat their vegetables, they’ll ask for more! The secret to enticing kids to eat their veggies is to get them involved in the planting, growing, and cooking process. Kids play in the garden, create art projects from the garden, stir in the kitchen, and laugh at the table! Eating fruits and vegetables is the number one habit for healthy living and is the most delicious when fresh, local, organic, and in season. Kids eat it fresh picked, standing in the garden; getting so excited growing their own organic backyard garden that they can hardly wait to taste the fruits and veggies! 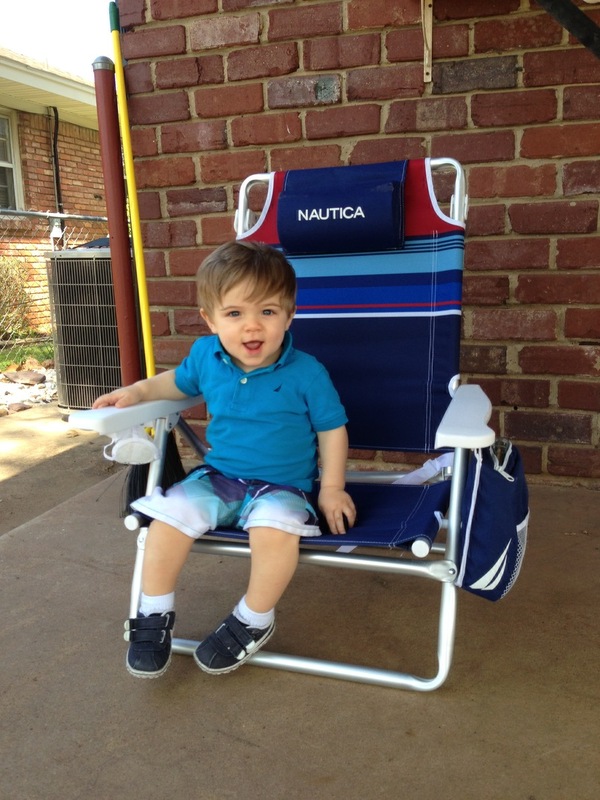 Kids breathe fresh air, get great exercise, and help the environment working in the garden. Kids enjoy choosing their favorite rainbow of veggies for dinner, decorating the cupcakes, and setting the table. Veggies steamed lightly, leaving a little crunch, are filled with vitamins and minerals. Kids that are invested in the outcome will enjoy their meal even more. When kids wash their hands with soap and water often, especially when cooking and eating, many illnesses can be prevented. Kids can learn to keep an impeccably clean kitchen with soap and water.Drinking eight glasses of pure water a day flushes kids systems of toxins, keeps them hydrated during exercise and their skin glowing.The most economical and effective way to provide your family with good tasting, quality, clean drinking water is one of the reverse osmosis under the sink water systems.It tastes so good kids will want more. Make meal planning a family activity. At the store, kids can read the labels on food packages, checking the ingredients and the sell-by dates. Make a fun outing to your local organic veggie stand, Farmers Market, and You-Pick Farms with your kids. Invite laughter, love, and luck into the kitchen by thinking kind, grateful thoughts. How we experience food in our homes and environment, changes our bodies and our metabolic process. Healthy habits for a lifetime can be created for kids while enjoying a nutritious meal with loved ones. 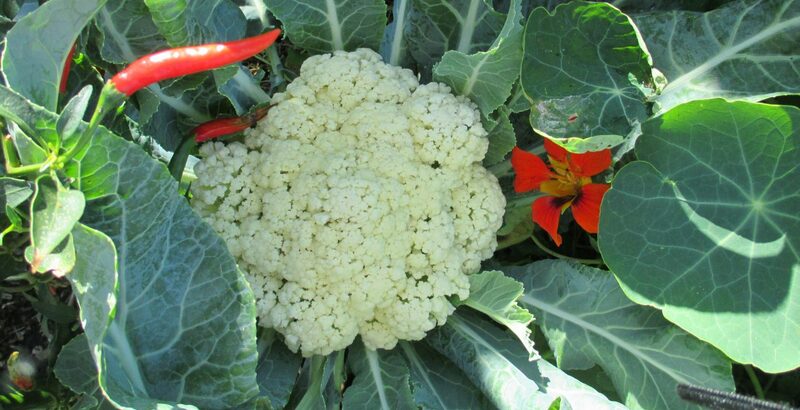 Raw veggies fresh from your organic backyard garden are a Super Food! Kids growing veggies in gardens, pots on a patio or a community garden learn to take responsibility for their food and gain self confidence. Kids earn the esteem of extended family and friends when they learn to prepare the food in a delicious manner. Kids want to eat fresh vegetables they have prepared themselves. This is a healthy habit for life. Using a serrated knife kids can chop the veggies and nuts finely into a bowl, add shredded cheese, and mix in the dressing. 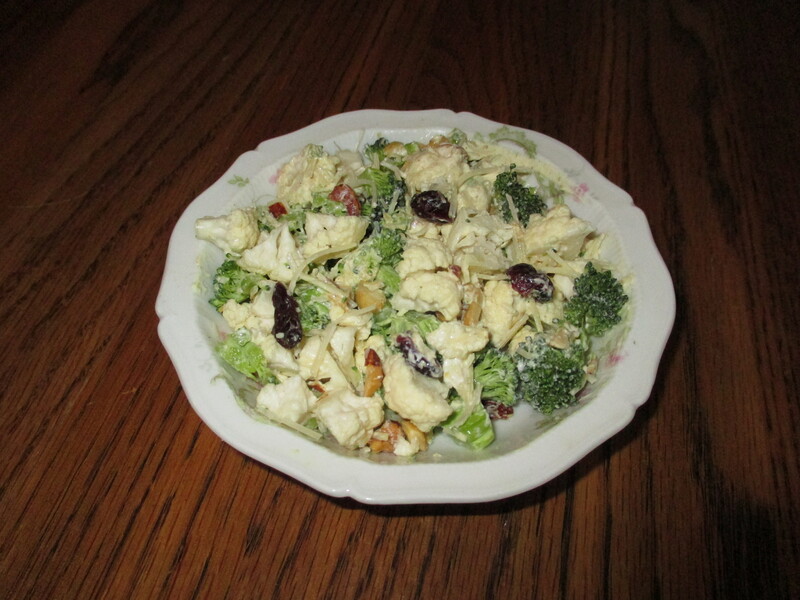 Summer Veggie Salad is 1 cup chopped broccoli florets, 1 cup cauliflower florets, 1/3 cup mixed finely shredded Fontina, Asiago, Parmesan cheeses, 1/6 cup mixed dried cranberries, chopped almonds and cashew nuts, for 4 serving, with a dressing of 4 tablespoons organic sour cream, ½ teaspoon seasoned salt, and ½ teaspoon curry powder. Kids love honey, but they are afraid of bees. Really the honeybee is more afraid of the human and stings only to protect itself. 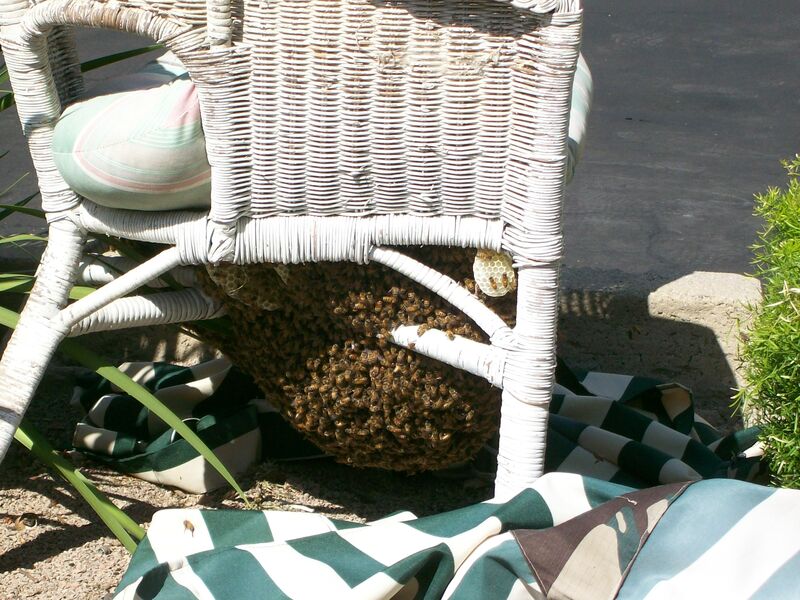 Pictured here is a honeybee hive that grew happily under a wicker chair on my patio three steps from my door. Kids can learn to be beekeepers in an organic backyard vegetable and fruit garden. Being calm and gently handling their honeybees with proper gear, kids have been winning ribbons at the country fair with their honey for generations. The honeybee buzzes from flower to flower collecting nectar to make honey and grains of pollen stick to its body. When the bee lands on another flower, some of the pollen rubs off. Honeybees pollinated so much of the fruits, nuts, and vegetables we eat that their job is extremely important. Because honeybees collect honey from one particular type of flower and never mix honey from a different type of flower, we have a large variety of honey flavors. Organic raw honey is a super food with enzymes, probiotics, amino acids, vitamins and minerals. The organic backyard beekeeper produces a raw honey that is an anti-bacterial, anti-virus, and anti-fungal, with cancer-preventing and anti-tumor properties. Raw honey that has not been pasteurized, clarified, or filtered provides an all natural energy and immunity boost, a natural cough suppressant, and an effective skin moisturizer. Eating honey from your backyard garden hive helps to alleviate pollen allergies. Large bee farms transport their bees all over the country to pollinate large industrial crops. The bees are moved from place to place following the crops as they bloom. Since 2006, one third of the honeybees in the U.S. have disappeared. Colony Collapse Disorder occurs when the adult bees vanish leaving the Queen and her brood in the deserted hive. Bees are critical players in our ecosystem. 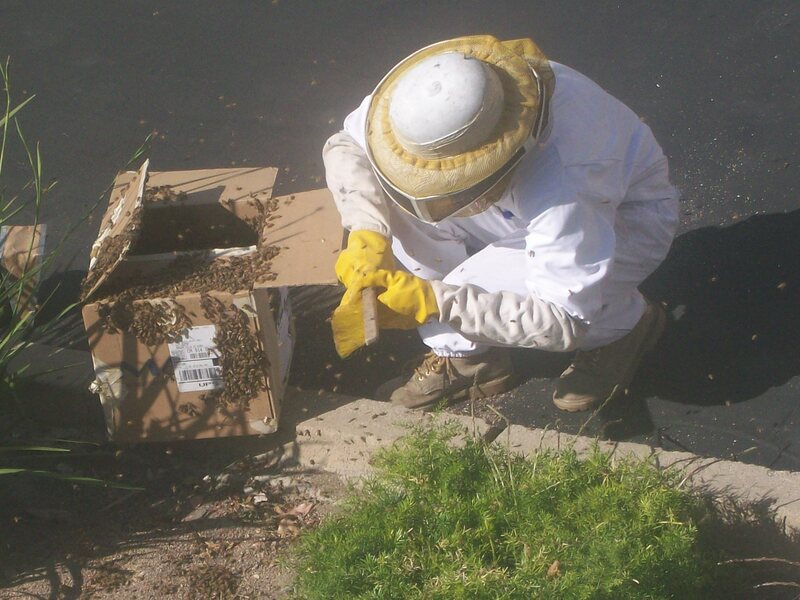 Commercial farm and beekeeping practices, cell phone towers, and pesticides are affecting the health of the honeybee. A local beekeeper used a smoker and gathered the Queen and her bees from my patio to take to his bee farm. Honeybees know their beekeeper, they dance when they find a flower, they sing in middle C, and have been trained to sniff out bombs. Honey is one of the purest foods, easily digested, plus a powerful sweet source of energy. Kids can make a difference in the health of their family, friends, and planet by having a beehive in a backyard garden. A dwarf apple tree is perfect for an organic backyard garden, with lower branches for kids to reach. Kids like to put apples in their pockets for eating later. Prehistoric kids ate wild and dried apples. Greeks started grafting apple trees in 400 B.C. and the Romans spread the apples across Europe and England. Kids love apple cider, apple sauce, and apple pies. Apples come in many varieties all around the world. Because they bloom late in the spring, apples are grown farther north than any other fruit tree. The apple seedling grows apples after about five years. Honey bees are very important carrying the pollen from one apple blossom and leaving it in another. The fertilized flower becomes an apple. Most apples are picked by hand as over half the apples grown are eaten fresh. Many local apple orchards have opportunities for kids to pick their own apples in the fall. Apple store well; at a cool temperature they can last fresh for a year! But they taste best right off the tree. Apples make Healthy Kids! They are a nutritious source of fiber, with vitamin A and C and potassium. The pectin in apples lowers cholesterol. Eating fresh apples can benefit teeth and gums. 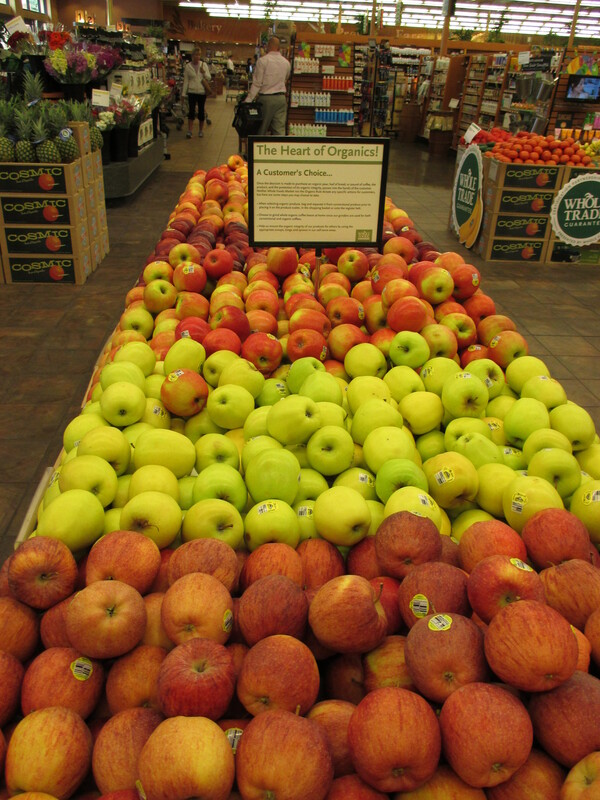 Because they store well, apples are a perfect snack for kids to carry wherever they go. Kids think fresh apples are delicious!